On the heels of the Scottish Export is our newest creation, the fruity, grassy and refreshing UK IPA. 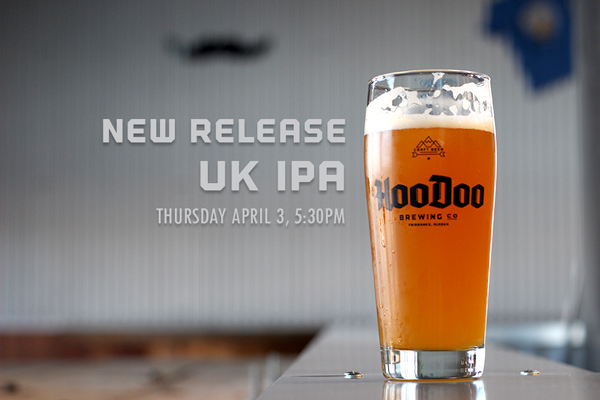 Our UK IPA goes on tap Thursday, April 3 at 5:30 pm. 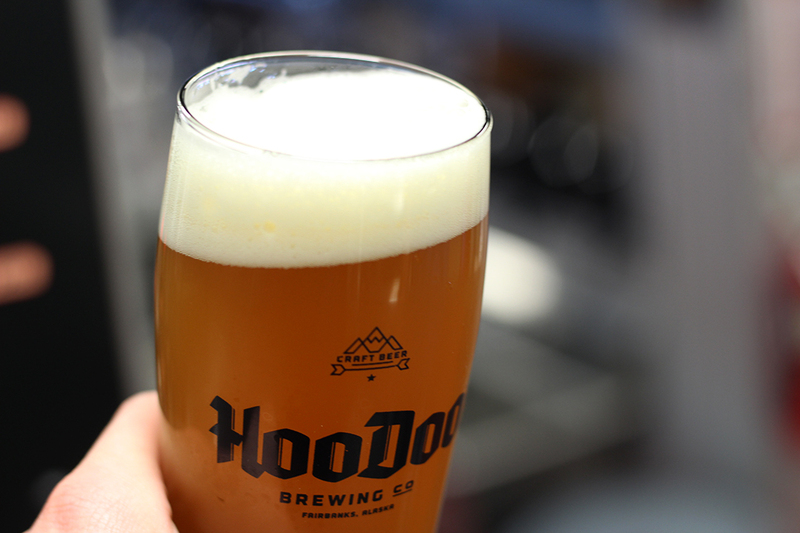 Brewed in the style of an English IPA from the 1800’s, our UK IPA is distinctly English. A simple malt bill of 100% English Maris Otter malted barley lends the beer a humble base that perfectly carries the distinct flavor and aroma of Golding hops. Goldings have been cultivated since the mid-1700s and are revered for their sweet, fruity contributions to English Ales. If you’re thinking about food, our UK IPA goes great with strong, spicy food; it’s a classic with curry. 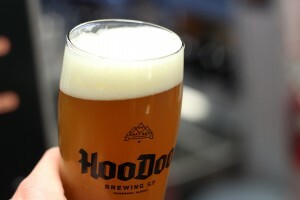 The boldness of the hops in this beer style contrast superbly with seafood. For cheeses, try it with a mild blue like gorgonzola or cambozola. The lovely floral and citrus aroma would also be great with a mellow cheddar, like Beecher’s Flagship. We’ll tap this springtime quencher this Thursday, April 3 at 5:30pm in the Taproom. Cheers! Free 30min brewery tours are available on Saturday's at 4pm. Sign up by calling 907-459-2337 (BEER) or by asking in the taproom. Sign up for our mostly monthly newsletter. It’ll let you know what’s happening at the brewery, what events are coming up, when beers are coming out, who's here for food and opportunities to be social (and drink delicious beer).